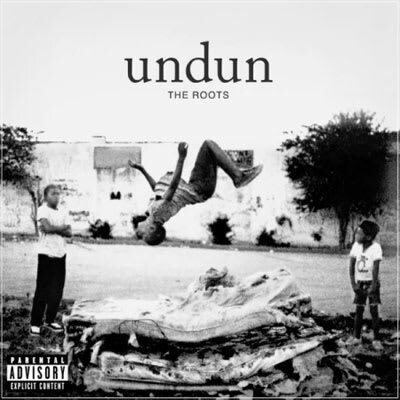 Undun is both The Roots' grimiest and most artistically ambitious album ever, combining symphonic sweep and streetside bluntness in equal measure. Black Thought's mighty MC skills are supplemented by first-rate bars from Big K.R.I.T., P.O.R.N., Dice Raw, Truck North, and Phonte—all musing on the unfortunate life and untimely death of a semi-fictional young man named Redford Stephens. Whether or not listeners take the time to piece together the reverse narrative arc decipher all the inter-relationships among these tracks, songs like "Lighthouse," "Sleep," and "Make My" stand on their own as compelling meditations on one of hip-hop's eternal themes—the existential dilemmas confronting young men growing up in any hood near you. Moreover, Questlove & co. have never sounded more in control, never letting the album's big aspirations overwhelm the boom bap. The inclusion of no fewer than four wistful codas for string and piano may be a tad bit indulgent, but that's how geniuses gets down.